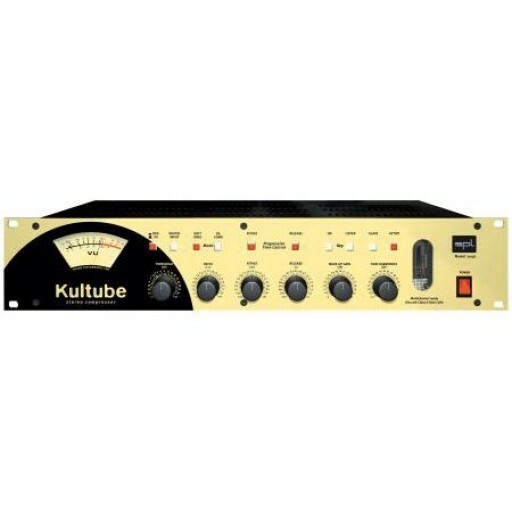 The Kultube is an extremely versatile compressor with a broad range of control facilities that cover all typical compressor applications. 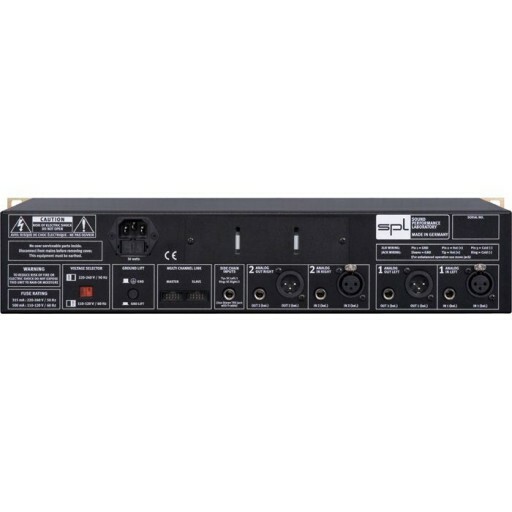 From improved stereo mixes in the “MIDI Studio“ to surround mastering with several devices connected, all jobs can be undertaken to the highest degree of sound quality. With the unique Progressive Time Control (PTC) option for attack and release, time constants can be optimised by unique circuitry that reacts both to the input signal and to the user settings - for example, fast impulses are intercepted by an attack time as fast as 20 us. PTC can be seen as an interactively controllable automation which is not based on fix presets but reacts to the audio material in a musically useful way. SPL has developed discrete, very high performance gain cells that are used instead of the usual VCAs and the Kultube is the first product to use them. They ensure the highest level of musicality and clarity in signal processing and demonstrate significantly improved distortion values over VCAs. The adjustable tube saturation of the output stages combined with automatic output level adjustment can produce tube sound effects that range from the delicate to the raucous whilst a useful decompressor mode can reanimate overcompressed material (such as samples). The Kultube user has a unique range of powerful compression tools always available, from subtle unobtrusive compression to very obvious ‘effect‘ compressions. 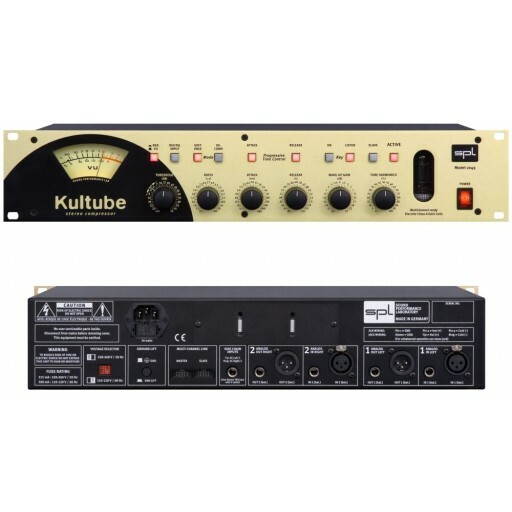 Used conventionally or as an effect, in professional recording or mastering applications, the Kultube combines outstanding audio quality with the acclaimed musicality and user-friendliness that SPL units stand for. Applications cover those of a classic compressor for vocals and instruments, in both mono and stereo, through stereo operation for subgroup processing to stereo mastering and multi-channel/surround projects.